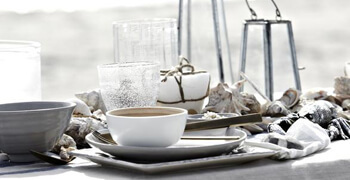 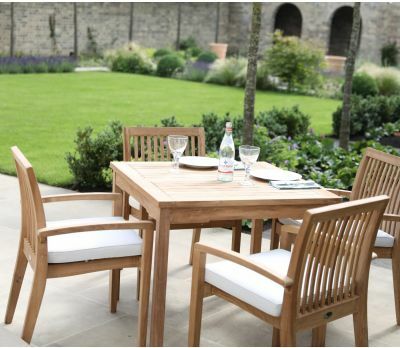 There are times when the desired virtue of a piece of furniture is versatility - our trendsetting wooden outdoor garden tables are as versatile as they are enticing. 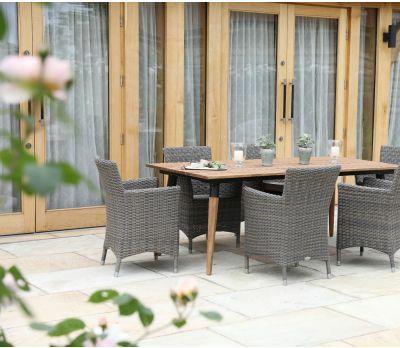 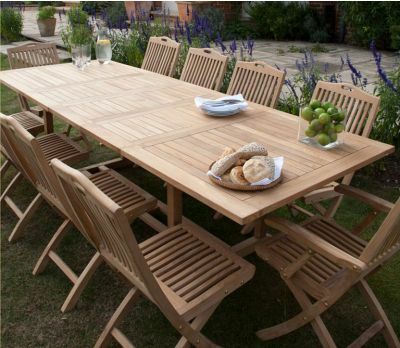 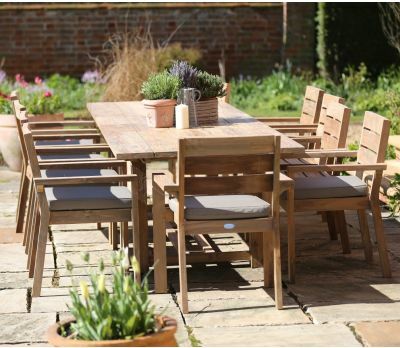 At Jo Alexander, there is a wide selection of teak extending tables to choose from, as our designers are aware of the importance of a table that will be able to accommodate all your guests comfortably without compromising ease in everyday use of your garden. 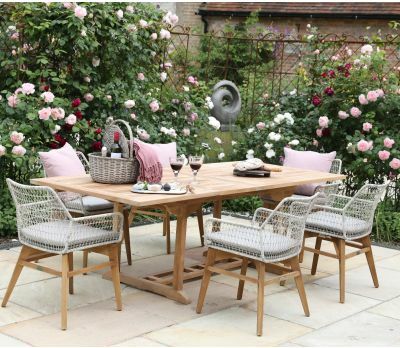 Jo Alexander offers an Oval Double Extending Table, a piece of garden furniture that can unfold into three different tables: 160cm, 200cm and 240cm. 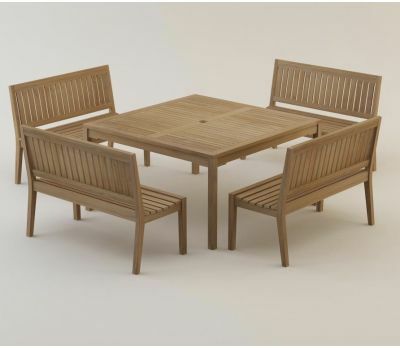 In addition to the above, there are three Rectangular Double Extending options within our collection of teak extending tables. 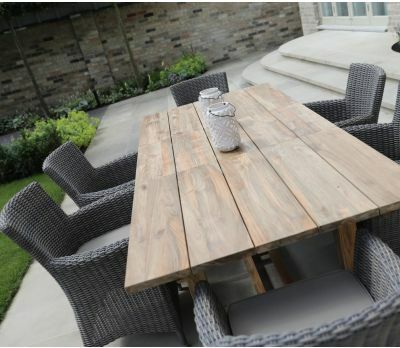 The measurements of these tables range from 180cm to an imposing 300cm, the latter an opulent table that provides the best dining experience for great gatherings. 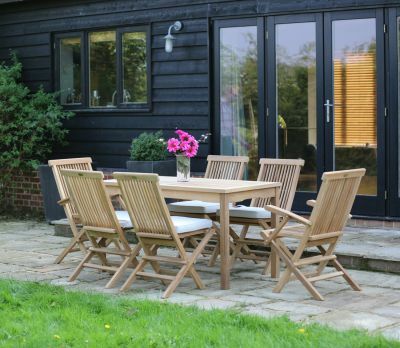 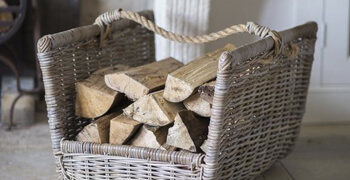 All the tables in the collection can be completed with our selection of chairs and parasols, and are always manufactured using A-grade plantation timbers. 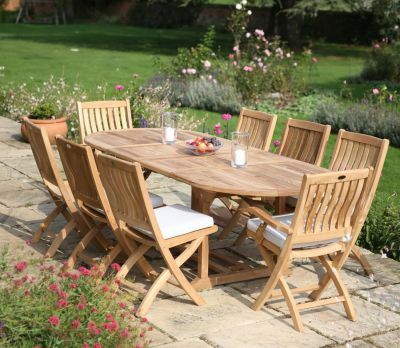 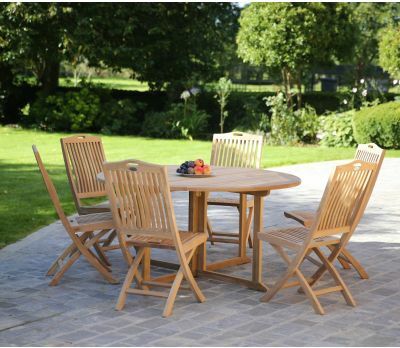 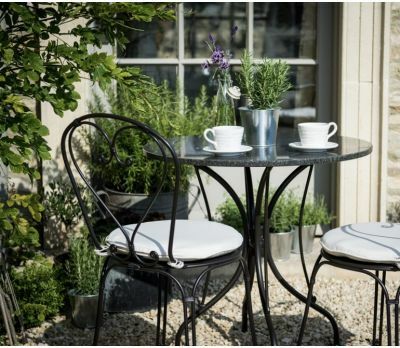 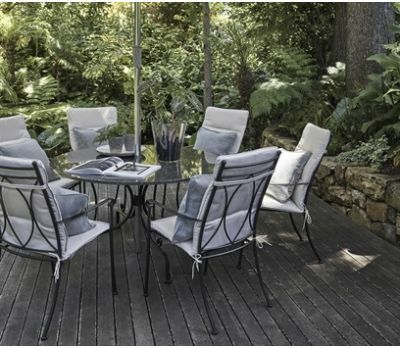 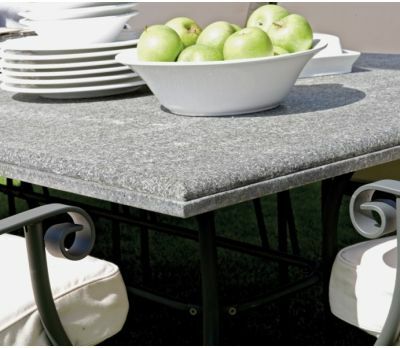 The extending tables are fitted with stainless steel hinges that guarantee maximum durability - thus ensuring a long-term investment for everyone’s garden. 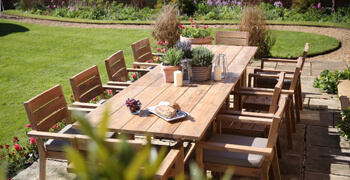 A long-term favourite in our teak range , the Henley Rectangular Table seats between six and eight people; any additional guests can be made comfortable by adding our Square Folding Table onto its end, as they are made to fit perfectly when arranged against each other: yet another sign of Jo Alexander’s careful consideration of detail. 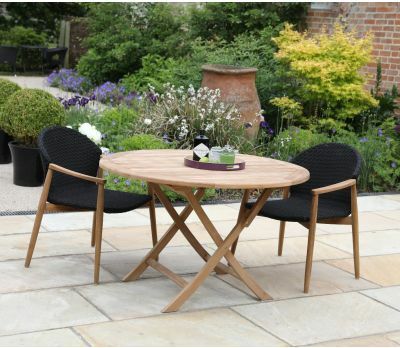 The Bristol Round Folding Table is available in two different sizes, either 90 or 120 cm in diameter. 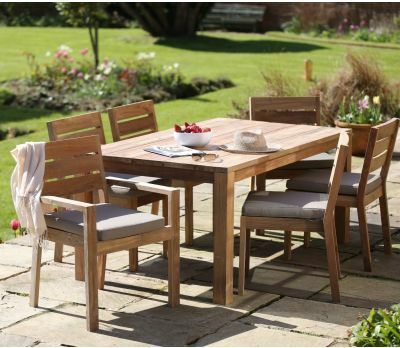 Its cross-legged design facilitates storage when it is not needed; and the smaller version of the Bristol Table has the ideal size to be moved around the garden in order to make the most out of any area. 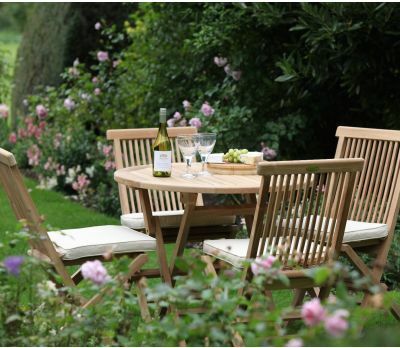 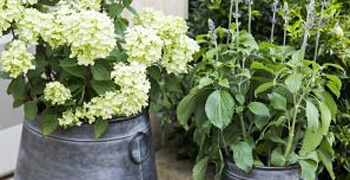 Both sizes feature a center hole where a 50 mm parasol can be fitted. 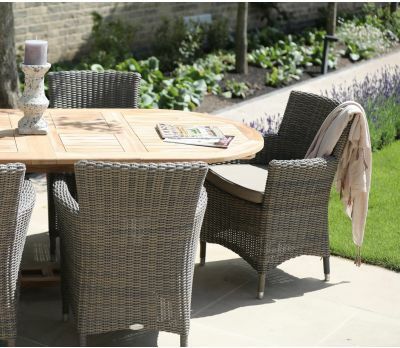 An all-time favourite in the collection, the Round Table with a unique Gate-Leg folding mechanism is one of the most stylish choices among the round tables. 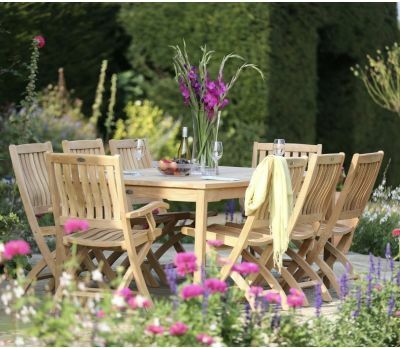 The quality of its brass hinges is guaranteed by the name of Jo Alexander’s garden furniture products ; and the central leg enables the use of a parasol without the need for a parasol base.